Julian B Lane Park is 23 acres located across the Hillsborough River from Downtown Tampa and is generally considered an underutilized property. Tampa has hired Civitas, a consulting company, to engage the community and create a plan for the redevelopment of the park. There are opportunities to capitalize on this asset, making the park more popular and appealing. 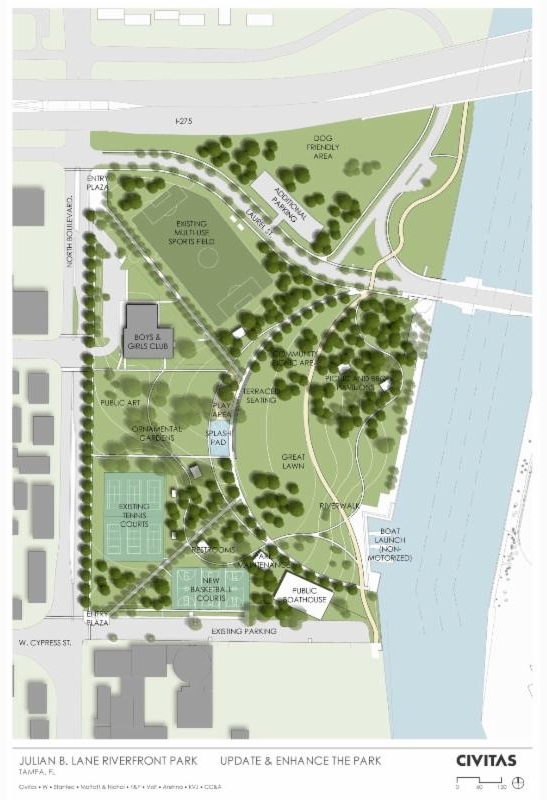 In May, the River Board was invited to a meeting with City of Tampa staff and their consultant to discuss preliminary ideas for the redevelopment of Julian B Lane Park. Additional coordination between the project team and the River Board is expected later this year. This project is expected to conclude this Fall, with construction projected for 2016. View plans for the park and participate in the conversation at the You Invision Tampa web site.